Another club bites t… on So long, Soho? Pity poor Sunday night. Still suffering from the effects of the weekend and overshadowed by Monday’s approach, the fag end of the Sabbath is usually given over to slouching in front of the telly. 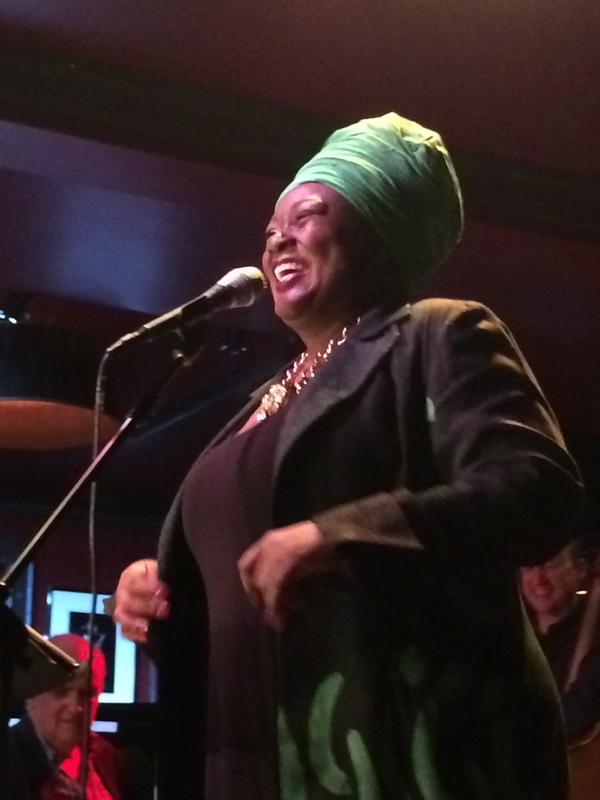 Which is a shame, because once a month, Jumoké Fashola takes over the upstairs bar at Ronnie Scott’s with jazz and poetry, ending the weekend with a flourish. I like Jumoké. 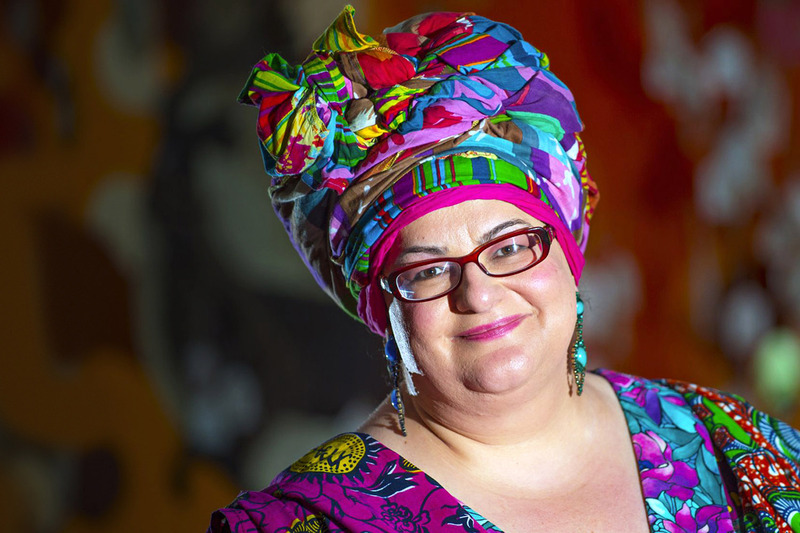 Like her sartorial rival, Camila Batmanghelidjh, she wears a trademark turban, a head-dress which is as regal as it is decorative. Who is the original, who the fake? My guess is that Batsie has the older rights. But Jumoké is a feisty challenger, and if I were Camila, I’d let Jumoké wrap herself up to her head’s content. In this season of goodwill, ladies everywhere, let our pacific motto be: no more burnin’ the turban. Ms Fashola has been impossible to avoid in recent weeks. Wherever I go, her turban follows. Standing tall and not a hair in sight, she fluffed us up for Fingersnap. Then she presented piano legend Abdullah Ibrahim at the London Jazz Festival. And when I walked into Jazz Verse Jukebox to see a friend, there she is again. It feels like the universe is drawing us together. At Jazz Verse Jukeboz, Jumoké displays an unfailing knack for spotting up-and-coming talent. 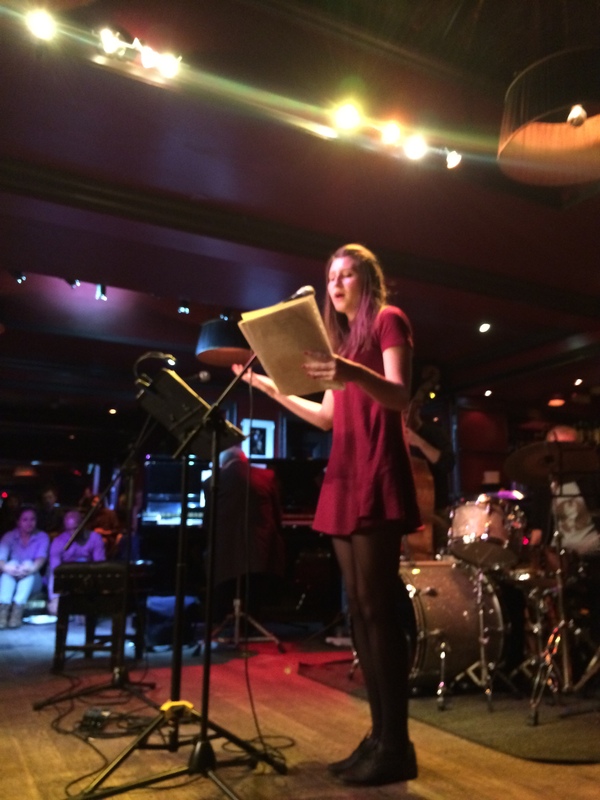 The last line-up featured Aisling Fahey, the New Young Poet Laureate for London. Her demeanour may be sweet and innocent, but her poetry is acutely observed and real. 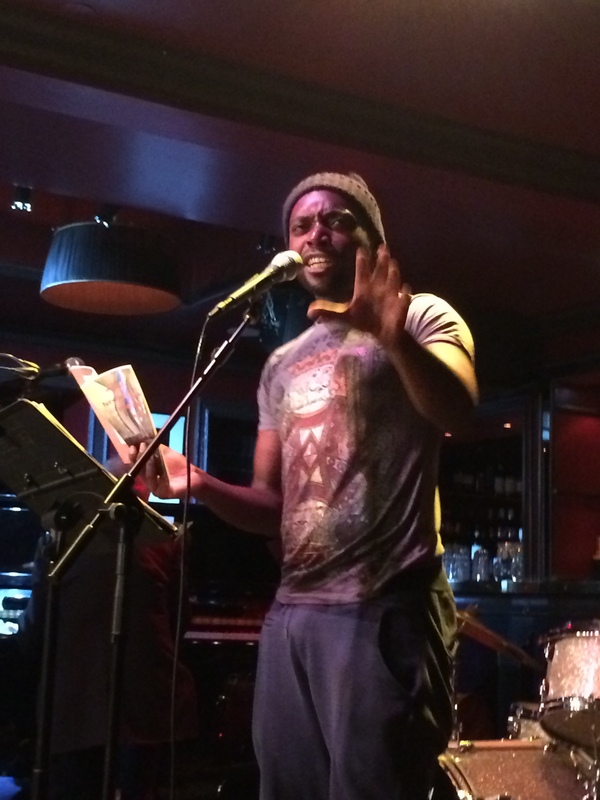 David Lee Morgan dazzled with an impassioned, epic poem on the atrocities of Congo’s colonial past. 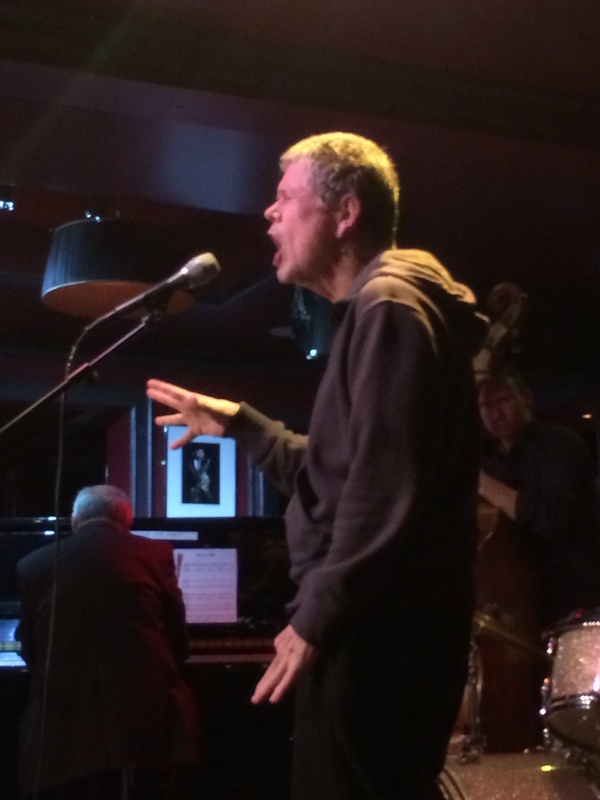 And Keith Jarrett delivered a performance that was both polished, stimulating and gripping. All this was complemented by jazz and a chance for new talent to shine in front of the open mic. It was a memorable night which proved that you can still enjoy world class art at student prices right in the heart of London. So this Sunday, drag yourself away from the sofa and venture out to Ronnie’s Bar. Jazz Verse Jukebox starts at 8pm; entry is £8.